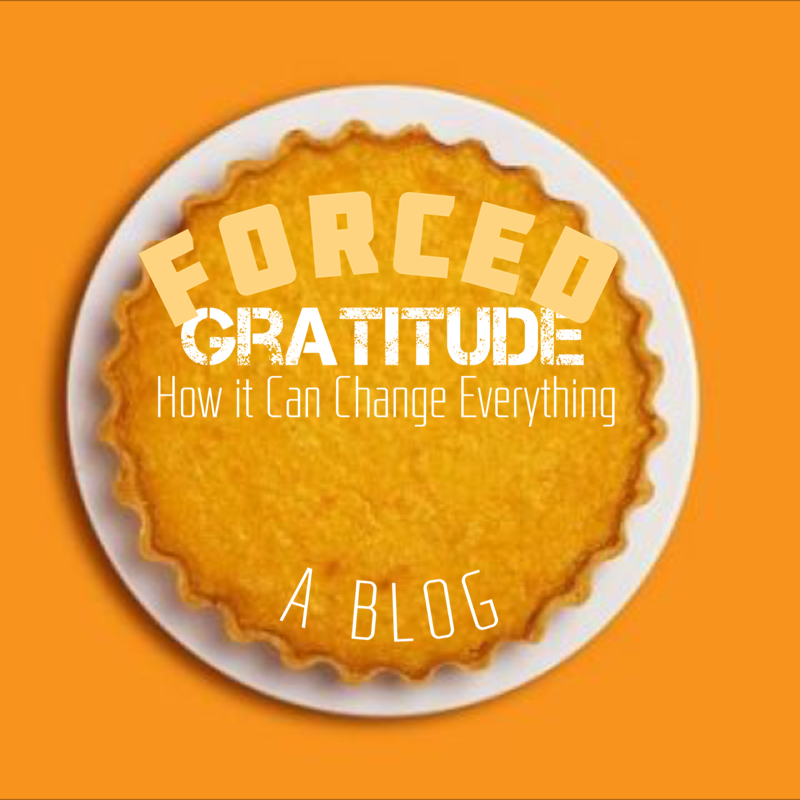 Forced Gratitude: Research shows, even Insincere Gratitude can transform us. Over this Thanksgiving weekend, I’m super thankful for an amazing year at Substance. It’s been a 21 year dream to launch a national level album. And I’m thrilled that it climbed to #24 on the mainstream charts (even if it was only for a short time). And by the way… if you haven’t seen it yet, we just launched the brand new lyric video for the song “Hanging” off our new album (Click Here)! But, despite all of this, there’s always something in our lives to whine about. People with no family whine about it. People WITH family whine about it. And all this goes to show, we all need the discipline of thanksgiving this time of year. So, if you’re feeling anxious today… I have a fascinating little trick for you that can change everything. As a kid, I used to think that thanksgiving was a silly holiday… a day requiring insincere gratitude and traumatic family meals. Don’t get me wrong: if the pilgrims could taste green bean casserole, they would say to themselves, “it’s all been worth it.” But why not Turkey Fajita’s or something? As for family, thankfully, I happen to have level-headed relatives… But I know many people who dread seeing family this time of year. So, to help you out, I want to share a fascinating piece of advice that just might change the way you see your relatives, even thanksgiving. 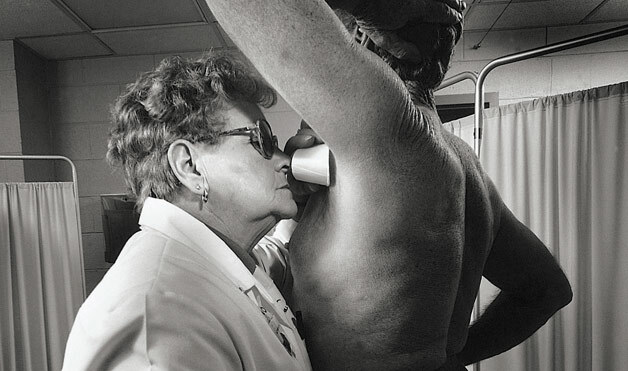 They had test subjects look at pictures of random people. They were told to declare positive or negative things about specific individuals. And later on in the study, they were asked to rate their feelings towards the people in the pictures (the same ones they were shown on an earlier occasion). On average, the individuals experience a 17% boost in positive feelings towards the people they were forced to declare positive things over, suggesting that both positive self-talk and forced gratitude still has a profound affect on us. But what’s interesting to me about the study I just mentioned is that, it proves our emotions tend to follow our declarations – even when they start out as obligatory or insincere. As you’d imagine, this could be the very thing that transforms your troubled relationships. So this thanksgiving, take a little time out to journal about all the things going good in your life. In the end, blessings have to be savored in order to truly be enjoyed. But ALSO try giving thanks for some of the people who irritate you. Take a few minutes to write or talk about their redemptive qualities. By the end, you’ll noticed a change in your heart. Even more, you’ll start to see some of those frustrating people the way God see them. I’ve had some of my greatest spiritual insights after doing little “thanksgiving meditations” like this. So try it. You’ll like it. (Say that 5 times out loud). P.p.s., And again, check out the new lyric video we filmed for the song “Hanging” off our newest Substance I.O. album! It’s stinking cool: https://www.youtube.com/watch?v=dzaFJxGNQrc – And if you like it, post the link!! As a pastor, I’ve watched a lot of people start the process of change, but only a few follow through on their goals. Whether your goal is to work out, parent better or eat healthier, over time, you’ll see that some people are simply better reaching their goals. But why? 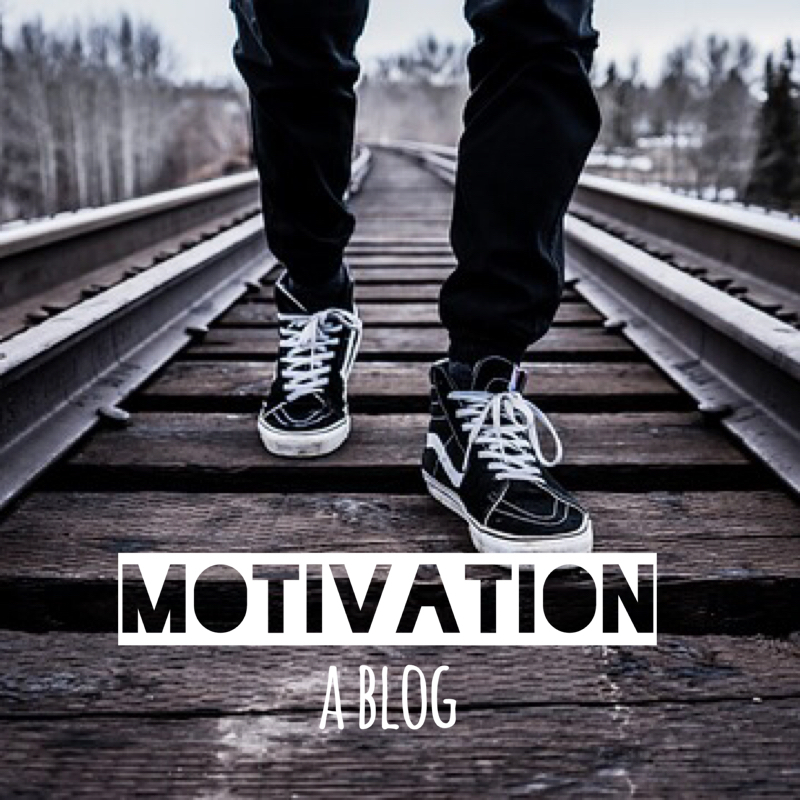 Why do some teams, organizations, and individuals, find motivation to change while others seem stuck in a rut? Research seems to indicate that the way we plan out our change has a massive affect on our motivation to change – both personally and organizationally. In a recent message at Substance, I made the argument that “Ambiguity and options kill action.” Research reveals that all humans are plagued with a weird short-circuit called “Analysis Paralysis.” Dozens of psychology experiments have proven that, when people are asked to make a decision with more than one good option (as opposed to a singular option), we are significantly more likely to do nothing. At first when I heard this, it sounded ridiculous. After all, most of us tend to think that “more options” is always better. But research shows that, when it comes to change, options kill our motivation. For example, eating healthier is a classic goal; but, where do we start? There’s an infinite number of ways to “eat healthy.” And even worse, there’s an infinite number of contradictory opinions about what’s healthy. Even worse, how does your family fit into this? Suddenly, there’s marital issues; scheduling issues; dieting philosophies; grocery store budgeting issues; recipe issues…and I’m just getting started. You see, for change to be effective, it needs to be simplified. Big goals need to be reduced to baby steps. After all, if ambiguity and options kill action, then having a clear plan is the holy grail of change. My wife and I have always been obsessive planners. At first we didn’t realize how obsessive we actually were. I was always writing 20 page documents outlining every one of my goals. My wife would write 10 page journal entries about how she planned on parenting each of our kids each year. Over time, when people would hear about our life-planning, we were kind of surprised that other people didn’t do the same. For a while, we started wondering if we were just freakishly introspective. Over time, people started asking us: “How did you guys come to live so intentionally?” At first, questions like these were really confusing because, like most people, my wife and I felt like we’re chronically disorganized. Heck. Our detailed life-plans were just an act of survival. (& When your kids are small and the demands of life overwhelm you, trust me: your chaos will eventually drive you to get a plan too). But, whatever your goals are for this year, it’s critical you understand that: Clarity and Motivation always flow from your Roles, your Goals, and your God. (1). Define your Roles: Throughout my 20s and much of my 30s, I tended to obsess over my professional success to the exclusion of my marriage, family and physical body. Many of you know that, over the years I’ve struggled with numerous repetitive strain injuries – losing my ability to talk – even losing my ability to type on a keyboard – simply because I was so obsessed with speaking at one more service or writing one more article. After experiencing numerous wake-up calls, I’m learning that success in one area of my life simply does not compensate for failure in another. In the end, success is a holistic thing; which is why, whenever I set goals for my life, I love to apply Stephen Covey’s “Roles & Goals” approach. For example, I’m not just a pastor, I’m a husband, a father, a Christian, a friend, a songwriter & I have an aging physical body. And if I fail in any one of these areas, it’s going to have a dramatic effect on the other areas too – not to mention my ability to enjoy the full experience that God has created me for. So, before I start setting goals for my life, I always start with my “roles” first. What roles is God calling you to play in this current season. Once you define them, go through the worksheet for each one of these roles. As you would imagine, goal setting requires some serious introspection. If you don’t have at least 2-3 pages of journal writing for each goal, you probably haven’t thought things through enough. In fact I have an entire folder filled with journal-like files that I title “the big picture” (with a date following it). They represent thousands of hours of dreaming, planning, and internalizing the life plan I believe God has for me. And, as a helpful phase 2 of this, I often go to my mentors/Spiritual Fathers after doing these brainstorms and have them scrutinize all of my thoughts. After all, I cannot tell you how many times my plan was wildly naïve, albeit thorough. Besides, happiness doesn’t come by successfully working a game plan. It comes by working out God’s plan. And if you’re lacking a strong devotional life and church life, you’re always going to struggle with finding fulfillment anywhere else. As I share in my newest book, Broken Escalators, research shows that people who regularly attend church not only set goals and complete goals more often than the general population, but they’re happier and healthier as well. Interestingly, people who attend church more than once a week happily complete their goals even more than people who only attend once a week. So, if you don’t have a great church… the kind of community you and your family could easily sync your entire lives into, put that on the top of your list. Your priorities determine your capacities. And you don’t want to spend another year on the slow path to your dreams. So, do you want more motivation? Start by getting clarity for your life. You’d be shocked how quickly your desires get in sync with your plan. And if you’re lacking motivation, consider that you should instead ask God to give you a plan instead of an emotion. Make sense? Honestly, ever since I heard the news of Philando Castile yesterday, my heart has been trembling. Part of it is because it happened right on the heels of Alton Sterling in Baton Rouge… and our city still hasn’t gotten over Jamar Clark, nor should it. And when you add snipers in Dallas – murdering innocent police officers – it makes you wonder: What on earth is going on? Do I believe that every one of these tragic young black deaths are directly race related? Only God can judge hearts. Ironically, the officer involved in Philando’s death yesterday was a minority too. And my prayers tonight are definitely going out to the officer’s family, as well as the families in Dallas who lost a loved one to an equal injustice. I’ve heard many people say: “Give the officers the benefit of the doubt” after all, “some of these victims were armed and many of them had crazy intent” – to which I say, “O.k. That seems fair.” If I had to risk my life everyday dealing with unreasonable people, and then I was forced to make a split second decision in the dark, I could see why tragedies happen. So what do we do here? I have numerous Godly officers in our church who’ve had to endure endless accusations of racism – just for doing their thankless jobs. I also have numerous African American’s in our church who legitimately fear for their lives if they were ever pulled over. But before you mindlessly choose a side and vent it on Facebook, I think it’s important for everyone to sort through the bigger problems here. I’ve noticed that, with each shooting tragedy, many white folks, myself included, have tended to obsess over the minutia of each individual tragedy: “Well, was he a public menace? Was he resisting arrest? Was he armed? Do we know for a fact that the officer was racist?” – questions that are all valid. So, you can understand why most African Americans tend to distrust law-enforcement – and why that distrust tends to create a cyclical problem of people “resisting” – a problem that makes it dangerous to police people. Unfortunately, this is just the beginning. In the workplace, black college graduates are twice as likely as whites to struggle to find jobs – the jobless rate for blacks has been double that of whites for decades. A study even found that people with “black-sounding names” had to send out 50 percent more job applications than people with “white-sounding names” just to get a call back. So, in light of this: Stop and feel the pain of those facts. After all, each of these stats has a casualty behind them… someone’s son / daughter; sister / brother who’s life was completely sidetracked because of one of these injustices. And this is just the tip of the iceberg. Coming back to these shootings, its important you understand, most majority Americans tend to see these deaths through the filter of “forensics and hooliganism;” yet, many minorities have a much broader and more painful narrative in mind: They see a rigged system – designed to fatalistically funnel their children into becoming another stat. And when you absorb the stats above, could you blame them? (2). 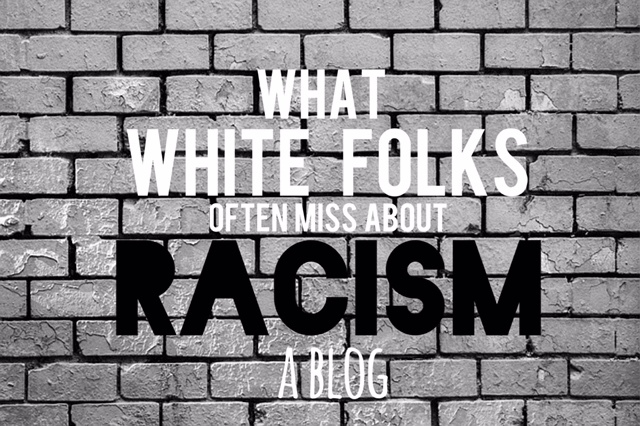 Get educated about the bigger narrative of racial inequality. Substance partners with an amazing organization in our city called Transform Minnesota. They’re doing amazing things to facilitate racial reconciliation. And even better, they are putting on several events to help folks like you and me get more involved in changing things. My wife has been a part of the board at Transform. And every time she comes home from a meeting, she’s blown away by the good things going on right here in the Twin Cities. (3). Be intentional about helping Substance develop minority leaders: As a senior pastor, I have always gone out of my way to recruit and develop minorities on our staff. At one point, white men were the minority on Substance’s full time roster. Unfortunately, our staff is constantly changing. And, even though we’ve been way “above average” in the past, if I could be super honest, it’s been a constant struggle for me to make sure that our staff represents the diversity of our city. Truth be told, we have some work to do. And I want everyone to know that diversity is truly a value here. However, I need YOUR help to do it. In the book of Acts, they had a similar diversity problem in Acts chapter 6. Grecian Jews were feeling marginalized by the Hebraic Jews. So the Apostles went out of their way to appoint seven dynamic Grecian Jews who could help resolve some of the tensions. Let it be so of our church. Let’s stop deferring responsibility upon others. Let’s take ownership, and watch God move. In the meantime, be praying for everyone involved in these shooting tragedies. I can’t even begin to imagine the pain that many people are feeling right now. So, let’s be sensitive. Let’s be self-aware. And lets sow peace into the hearts of everyone we talk to. In Jesus’ name. 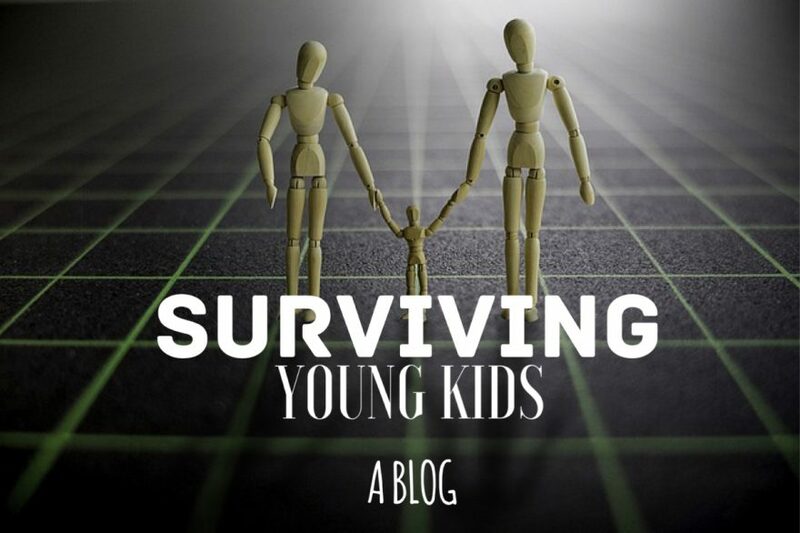 How your Marriage can Survive while Parenting Young Kids! Being a parent with young kids can be one of the most chaotic seasons of life. And if that’s you right now, don’t give up! It only gets better. To make things even more difficult for my wife and me, we made the decision to plant a church (while having 3 kids under the age of 5). So, allow me to share a little wisdom and encouragement! The day is coming when your kid won’t need diapers. Even better, the day is coming when they’ll be able to buckle themselves into their own car seats and they’ll go to school ALL DAY LONG! And perhaps someday, they’ll even do the dishes with a good attitude (Well, let’s not get carried away here); but, my point is this: If you can just survive the chaos of young kids, you’re going to have a lot of fun ahead of you. Unfortunately, a lot of marriages won’t survive this chaos. People don’t often get divorced when there are young kids in the mix; but, I guarantee you, the initial cracks (that eventually crumble a marriage) almost always happen during this phase and are often overlooked due to the busyness of the season. So, how can a couple reinvigorate their marriage amidst this chaos? Well, here’s one simple suggestion: Vacation Apart from your Kids! The moment I suggest this to some couples, they erupt with excuses: “But you don’t understand my kids!” Or, “I can’t find babysitters.” Or, “you don’t understand our finances.” And unfortunately, I’ve watched the same excuses take people into “marriage-hell” over and over and over again. My wife and I drove junker cars until we were 30… And then we started upgrading to “used.” (Heck, even still, we drive a rusty old minivan with missing hubcaps). And why? Because we prioritize date nights and vacations apart from our kids. We made the decision to collect “experiences more than possessions”… Don’t get me wrong: It’s ok to drive nice cars. But my point is this: spend FAR more time “dreaming together than acquiring together.” Even more, we constantly pray for free vacation opportunities, and God always seems to show up. (We literally have a never-ending list of miracles related to this!!) Even more, there are a lot of young families in our church who would happily take your kids for a few days (especially if they knew you would return the favor). There’s a lot of research showing that “over nurturing” or over-attached parents tend to produce unhealthy kids. As one parenting researcher put it, “Kids need to learn how to ‘soothe themselves.’” Parents who don’t allow their kids to cry, or who are afraid to force their kids to go to “non-parental caretakers” tend to produce kids with lower self-regulation and negotiating skills. A large regression analysis study on parenting even put “child-independence” as one of the top 10 most significant statistical predictors of healthy kids. I.e., If you love your kids, you’ll force them to go through the trauma of “dropping them off.” To put it simply, child centered homes produce off centered marriages. As a parent, it’s hard to endure the whining of your kids (& unfortunately, that doesn’t necessarily stop as they get older). I remember when I was a little kid, I would guilt the heck out of my parents when they’d drop me off at a day-care now and again. But, it’s safe to say: Your kids NEED you to leave them back. And more than this, YOU need this too. When life gets tough, we all have a tendency to condition our happiness upon things that, according to research, simply won’t change our happiness all that much. After writing an entire book hitting some of the statistical causes of happiness, I continue to find more “research gems” that blow my mind. According to the May/June 2016 Scientific American Mind Magazine, if you struggle with happiness, you might be better off looking at your friendships more than your income. To be more specific: People who were given an $11,000 raise were only 2% more likely to be happy. But people who made friends with happy people were 15.3% more likely to be happy. That’s why, instead of giving my staff raises, I simply introduce them to happy people. (Not really… but, for a few of them, it’s tempting). But all jokes aside, think about how profound that is: Our moods are far more affected by our friends than most other things in our circumstances. Over the years, I’ve watched this play out hundreds of times: I’ve had friends go through terrible situations with amazing courage due to their friends; and, on the other hand, I’ve also watched people poison their attitudes and literally wreck their careers simply because they had discontent or depressed friends. As I showed in my book Broken Escalators, there’s been a lot of research on sports teams proving that “the morale of the team” operates quite independently of their win-loss record. For example, researchers studied various sports teams who were completely dominating their competition. Thus, you’d think they’d be happier than their “loser” counterparts. After all, these were the teams who were more likely to achieve high levels of financial and performance success. Yet, ironically, many of these same teams were plagued with depression, discontentment, and low morale. So, what’s up? Quite often, these teams had “problematic team-mates” – (people who had a tendency to project their personal problems, insecurities and wounds onto the team). So, researchers discovered, when people serve on a team with a few negative or discontent friends, they tended to catch and spread negativity like a virus. Naturally, this resulted in a paradoxically low morale for the entire team, even though their circumstances suggested they should be happier than ever. Don’t misunderstand me: I’m not suggesting we alienate people in our lives who are going through hardships; after all, nobody’s perfect; however, I am definitely saying that, sometimes, healthy boundaries are the foundation of personal health. I always tell other leaders: most of our teams are simply “one tough conversation away” from a breakthrough. Every time I’ve ever removed a bad-apple from a team, it’s almost amazing how quickly the morale can recover. And, I’m sad to admit, I’ve allowed my church and staff to go through many low moments simply because I wasn’t willing to deal with problematic people fast enough. And the same is true with our personal lives. Setting up boundaries with certain people can be difficult. Choosing right friends doesn’t mean you get to feel right – at first. But Proverbs 12:26 says, “The righteous choose their friends carefully.” And over time, you will reap the fruit of your decisions. If you’re feeling busy or weary, lets talk. But here in part 2, I want to talk about 2 additional disciplines called: Rhythm and Focus. It’s taken me years to understand how to establish and protect these two skills. Honestly, I can’t say that I’ve mastered either of these two skills. But I’m definitely getting better. Having a church full of young career folks and young families, I’m constantly reminded of how the juggling act of life works. But it suffices to say: if you’re a single person (or young married person with no kids) and you struggle with reading your Bible, managing your money, or working out, you are SERIOUSLY going to struggle if kids or a big promotion happens (I hate to tell you that, but it’s true). With every year, with every promotion, and with every kid, the juggling act of life gets a little more complex. But, before you melt into a wet pile of discouragement, the good news is this: God has a solution for you. And although the juggling act of life can feel unrelenting, juggling is all about rhythm and focus. And here’s how you can get better at it. My juggling friends (who are very unique people), have told me: great juggling has very little to do with how many things you’re juggling (up to a certain point, of course.) But if you can maintain a sense of rhythm and focus, it’s incredible how many things you can keep in the air. And life is the same way. Every new phase of life requires a new type of structure. For example, before I had kids, date nights were easy. There were no baby-sitters to pay. We never had to be disciplined about it. But after kids, date nights suddenly disappeared. Suddenly, I had to get a disciplined date-budget. We had to recruit and build an entire team of child-care workers! And I had to pick these nights in advance. I.e., My schedule created a rhythm. It created a bigger inward “Yes” that enabled me to say no to other things. It’s the same thing with vacations and travel. I rarely accept a speaking gig unless I can fly in and out within 24 hours. Obviously, if my wife or kids can travel with me, I make exceptions. But, the cost on the rhythm of my family is too great. I’ve had to be equally rigid about giving up certain nights of my week. And sure, I have to disappoint people all the time. But my rhythm is too important. Once I lose it, I’ll have to drop everything. And that leads to the other skill: Focus. Focus is all about priorities: If you don’t have goals for your marriage, your kids, your physical body, and your spiritual growth, you will always procrastinate them until you have a breakdown. Imagine you’re juggling 5 balls and someone comes along and whips a ball at your gut. We all have an instinct to try to catch it. But a pro juggler always has their focus on one thing: Maintaining the balls they’re currently juggling. Ironically, success is all about strategically disappointing people. I have to live with a chronic feeling of guilt that I’m not living up to the expectations of those around me. Choosing right doesn’t mean you get to feel right. And the same is true with healthy living. There will always be people who won’t understand your God-instituted priorities. You have to be O.K. with that. But here’s my greater point, if you find yourself losing touch with your family or losing your focus on God, you will quickly wear yourself out trying to juggle things that God has never called you to juggle. In many ways, my weariness is the greatest metric of my connection to God. Being “tired” is a natural consequence of promotion. However being “weary” is a natural consequence of trying to “build our houses” or careers in a way that exceeds God’s timing or pace. So, ask yourself: what’s your “weariness level?” Do you find yourself whining about everyone around you? Do you feel like life is “living you,” rather than you “living it?” At some point, your body and emotions will force you to surrender to God’s pace and God’s priorities. Live at such a pace where worrisome thought are simply incapable of sneaking around undetected. After all, God doesn’t think about our success in five-year increments. He’s looking at “generational success” – the long view of our lives. And if we take the long view of success along with him, we will naturally be a lot wiser about how we “plot our course.” Amen? Ps. If you’re in the Twin Cities, we just launched our new Northtown Campus! Come celebrate our brand new series launching Feb 21st! Most people think that their busy pursuit of success is fine, until their lives melt down. I meet a lot of middle aged people who thought their marriage, kids, and physical bodies’ were fine (amidst the busyness of their careers) until all-of-a-sudden, they weren’t. Your marriage falls apart; your kid does the unthinkable; or you lose your job and health in some rapid fashion. “How did I miss it?” – people often ask me AFTER the crash. Well, allow me to tell you about MY first crash. And perhaps you can avoid one altogether! I had a lot of professional success early on in my life. Before Substance, I had the opportunity to become the senior pastor of a decent sized church in Wisconsin. I imagined that having a secretary (& all the other amenities of the senior pastorate) would make my life simpler; but, the exact opposite happened. Although I had 10 x’s the resources (compared to being a youth pastor), I also had 100 x’s the demands! That’s why Myth #3 in my new book is called: “The Oversimplification Myth” – the false notion that Promotion will make our lives easier or happier. All I can remember from those days is the constant grind of writing another sermon. I gained 25 lbs in one year. And, when we added in 2 babies, I don’t think I ever saw my wife. There was always a big crisis or killer opportunity that needed to be seized. Not surprisingly, I finally had a huge breakdown moment. Like a lot of people who lose perspective, I became totally depressed. Thankfully, I didn’t do anything to disqualify myself from ministry in that season; but, make no mistake, I was NOT healthy. I quickly realized that, success in one area of my life doesn’t compensate for failure in another. Professional success will never be a substitute for marital success, parenting success, physical success, or spiritual success. For example, no one ever gets to the end of their life and says, “Gee, I wish I spent more time at the office.” So why do we allow singular areas of our lives to highjack the others? Quite simply: we often cheat towards the parts of our lives that bring us the most immediate accolades, results or gratification while the aspects of our lives that are harder to measure (like the state of our kids, marriage, etc.) often get procrastinated. After all, we often measure these other areas of our lives in yearly increments, not weeks or months. Because of this tendency to “borrow from the wrong areas”, King Solomon wrote an incredible Psalm to help us focus on the big picture. He wrote: “Unless the Lord builds the house, the builders labor in vain. Unless the Lord watches over the city, the guards stand watch in vain. 2 In vain you rise early and stay up late, toiling for food to eat— for he grants sleep to those he loves.” (Psalm 127:1-2). Keep in mind, this was written by one of the wealthiest human beings on planet Earth. He had everything a person could ask for… And yet, he still had an impulse to strive. I think, this is a profound idea to meditate on. Professional success will never give you the peace you’re striving for. In the end, peace is not found in circumstances; rather, it’s found in submission to a generous Heavenly Father. And if we would simply get in sync with God’s timeline for our lives, it would unload a massive amount of striving! For years, I never understood why these two ideas were related. One moment,he’s talking about “trusting in God” instead of striving; then next, he’s talking about family. What’s going on here? And Solomon had a front row seat to his dad’s parenting disasters. (Just read 2 Samuel!) He saw that his dad paid a dear price for allowing his professional success to eclipse his family’s success. Thus, in many ways, Solomon is asking us to make sure we’re focusing on the fundamental priorities in our lives, such as “God First” “Family Second” … And then, allow God to work on building success in the other areas of our lives. As I share in Broken Escalators, when we prioritize holistic success, God releases special amounts of favor in those areas we’re scared to relinquish (Mt. 6:33). Quite often, the very reason why we’re NOT getting the professional success we pine after is because God knows, our lives will wobble over into catastrophic imbalance. And quite frankly, he loves you too much to bless your terrible priorities. 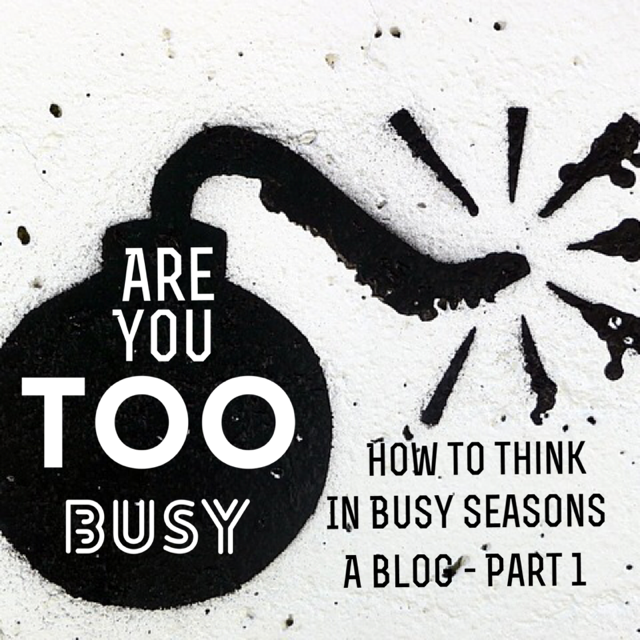 These thoughts have been especially helpful for me in my current season. With the launch of our new Northtown campus, I’ve had a steady barrage of concern: “Pastor, are you doing alright?” And it makes sense. The staff is grieving the loss of Pastor Rick’s wife, Crystal. On top of that, we’re feverishly prepping our new building for our launch Sunday this weekend. But thankfully, I’ve had enough big launches and grieving processes in my life to know: There will always be another “big event.” And I’ve got to move at the pace of my body and emotions, not external pressures. God creates solutions for our problems before we knew we even had problems. Although I’m thrilled about moving into our new “big house,” I’m fully convinced, it’s ALL on God. And he’s got more than enough resources to pull this off. But how about you? Do you have holistic success right now? Are you living at a pace where you can hear the Holy Spirit’s gentle nudges? Quite simply: If you’re willing to change your priorities, God is willing to take care of your long term success. Will you trust him to build your dreams? 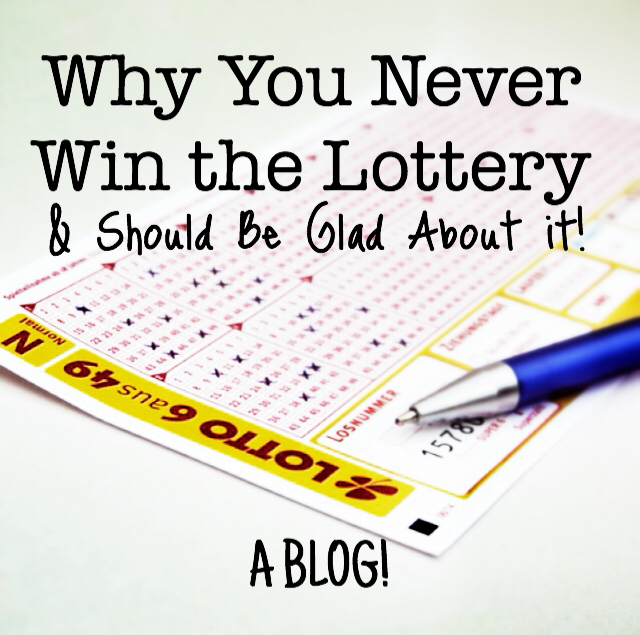 Why You Never Win the Lottery…& Should be Glad about It! Of course, a day later you realized, you might be a winner. You’re eligible to win either, a new set of steak knives or the ten million dollar prize. And that’s when you prayed: “Lord, if you help me win the ten million, I promise to…[fill-in-the-blank]. However, as you read the next paragraph, you just might stop praying like this. Did you know, people who win the lottery tend to have dramatically increased odds of getting divorced, kidnapped, murdered, and sued? They tend to have high depression, suicide and bankruptcy rates. In fact, close to 70% of lottery winners lose all of their money within a few years. Ironically, numerous major university studies found, the more money you win, the more likely you are to go bankrupt! And why? Because, winning the lottery doesn’t change your stewardship problems. If you were smart with money, you wouldn’t be playing the lottery in the first place. As the scriptures say: “Wealth gained hastily will dwindle, but whoever gathers little by little will increase it” (Prov.13:11). The same is usually true with all big promotions or windfall gains. We all dream of “life-changing opportunities”…the dream job, the dream platform, the chance opportunity that could change everything. And when we’re impatient or out of sync with God, we’re tempted to fall prey to something I call the “Pot of Gold” Myth (Myth #6 in my book Broken Escalators) It’s the false idea that a golden opportunity, big promotion, or dazzling relationship, will suddenly improve our character or make us happy. For example, why get a budget when you can simply look for a higher paying job? Why bother becoming a better employee, when we can simply shop for a better boss, a better spouse, a better [fill-in-the-blank]. So here’s a more reliable truth: Opportunity doesn’t change your character. It magnifies and reveals it. Before you won the lottery and went bankrupt, no one knew you were an idiot with your money. Now, you’re a perennial moral tale for bloggers, every time there’s a new lottery winner. Your sexual problems weren’t newsworthy until you got that new platform – you won the job; you got the big gig; you finally found the hot-Christian spouse (who’s got a drinking problem) and you gave birth to triplets. Unfortunately, when we seek promotions that God isn’t giving us, we just fail bigger. And worse, we condemn ourselves to an eternal search for better circumstances rather than living a lifestyle worthy of better circumstances. In the end, God knows when our character is ready for promotion. And he’s already promised us EVERYTHING once we truly learn the following verse: “To man who pleases Him, God gives wisdom, knowledge and happiness; but to the sinner he gives the task of gathering and storing up wealth to hand it over to the one who pleases Him” (Ecclessiates 2:26). WOW!! Now that’s a Bible promise! 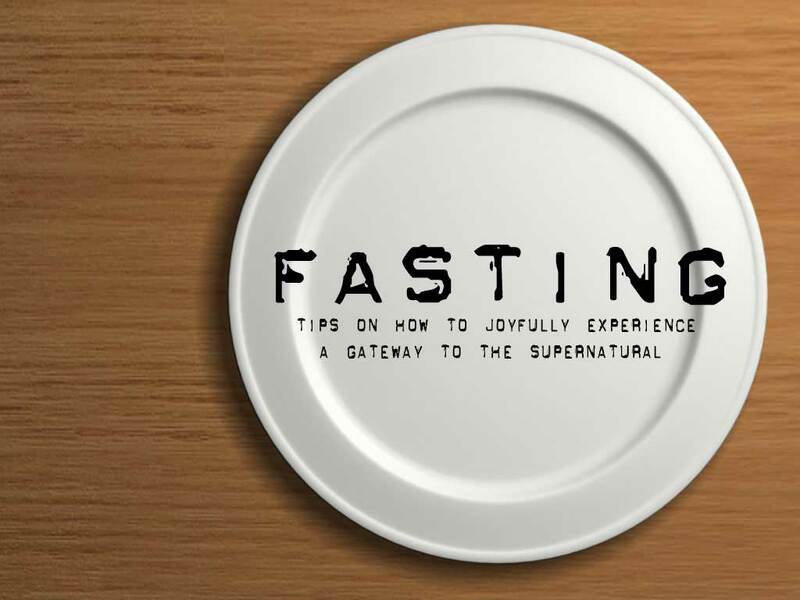 God makes Special Promises to Those Who Fast: Why I love Fasting! So how do I participate? Well, quite simply, pray about what God would have you fast & simply join in, January 11th through the 31st! Spiritual disciplines like this can actually be quite fun when you’re doing it alongside a big group of people. 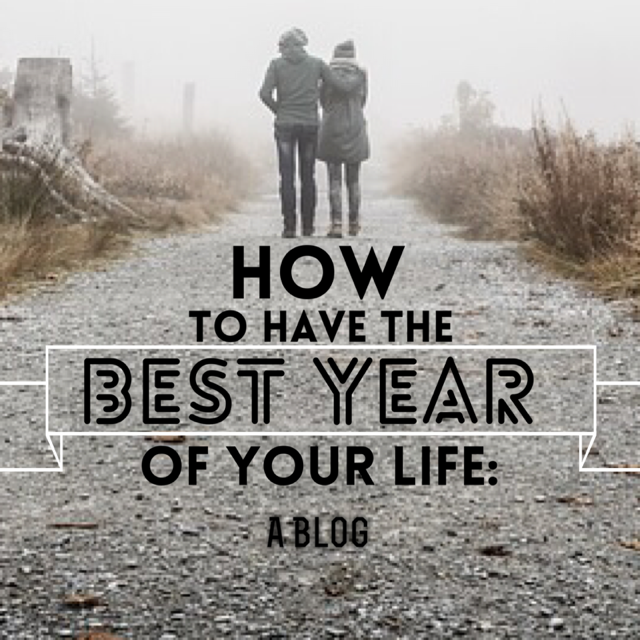 How to Have the Best Year of Your Life: 4 Ideas to Revolutionize your Resolutions! Most people obsess over things that simply don’t increase their happiness. As I argue in my book, Broken Escalators, circumstantial things (like money, jobs, marital status, geographical locations, & good looks) only affect our happiness by a variance of 10%. And yet, for many of us, these pursuits are what highjack 90% of our time (not to mention, our prayers!) Naturally, if you’re pursuing a goal that simply doesn’t fulfill you, it shouldn’t surprise you that you’re going to lose motivation! So, get off the treadmill of the elusive happiness and figure this out before you waste years of your life on meaningless pursuits. (2). Don’t obsess over one area of your life to the exclusion of the others: Throughout my 20s and much of my 30s, I tended to obsess over my professional success to the exclusion of my marriage, family and physical body. Many of you know that, over the years I’ve struggled with numerous repetitive strain injuries – losing my ability to talk – even losing my ability to type on a keyboard – simply because I was so obsessed with speaking at one more service or writing one more article. After experiencing numerous wake-up calls, I’m learning that success in one area of my life simply does not compensate for failure in another. In the end, success is a holistic thing; which is why, whenever I set goals for my life, I love to apply Stephen Covey’s “Roles & Goals” approach. For example, I’m not just a pastor, I’m a husband, a father, a Christian, a friend, a songwriter & I have an aging physical body. And if I fail in any one of these areas, I believe it’s going to have a dramatic effect on the other areas too – not to mention my ability to enjoy the full experience that God has created me for. Whenever I set goals for each of my roles, I always start with the question: What one change would make the biggest difference in each role in my life. (3). Don’t set goals without setting sub-goals & and identifying obstructions: Most people simply don’t think their goals through enough. Many of our goals simply aren’t realistic in light of our other roles in life. Quite often we fail to make our goals measurable on a monthly and weekly basis. And even if we did, quite often, we fail to internalize those goals on a monthly basis. So here’s what I do: whenever I set goals, I like to break them down into monthly subgoals. In other words, I ask the question: what are the 10 things that need to happen on a regular basis in order for this larger goal to be accomplished and by when? And then I ask another version of this same question: what are the 10 things that could obstruct all of this from happening. Besides, happiness doesn’t come by successfully working a game plan. It comes by working out God’s plan. And if you’re lacking a strong devotional life and church life, you’re always going to struggle with finding fulfillment anywhere else. As I share in my newest book, research shows that people who regularly attend church not only set goals and complete goals more often than the general population, but they’re happier and healthier as well. Interestingly, people who attend church more than once a week happily complete their goals even more than people who only attend once a week. So, if you don’t have a great church… the kind of community you and your family could easily sync your entire lives into, put that on the top of your list. Your priorities determine your capacities. And you don’t want to spend another year on the slow path to your dreams.